In anticipation of the celebratory day, McCrite Plaza will sponsor its fourth annual “McCrite Grandparent Celebration and Contest.” We invite our resident’s grandchildren to submit a 200-word or less essay or original artwork on an 8.5 X 11 page, depicting why their grandparent(s) or great-grandparent(s) are so wonderful! In addition, we will host a short program and reception 10 a.m., Saturday, September 8, at McCrite Plaza at Briarcliff. All children who submit essays or drawings will have the chance to personally present them to their grandparent. If the children live out of town or are unable to attend, rest assured that we will present them publicly and make them feel very loved and honored on the child’s behalf. Submit entries by Monday, September 3, to: cbenitz@mccriteplaza.com or mail us directly at 1201 NW Tullison Rd., Kansas City, MO 64116, Attn: Activities. On the back of each entry, please write the Grandparent(s) name, Grandchild’s name and age. 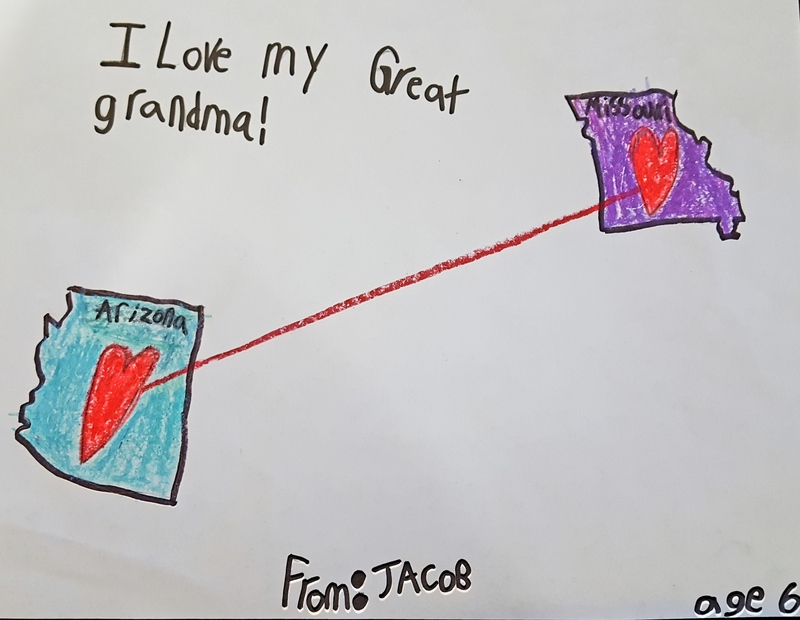 Each entry submitted by a child 22 and younger will be entered into a prize drawing for a $500 Education Scholarship Account, limited to one entry per child per grandparent. In addition, McCrite staff will publish some of the most compelling essays and drawings on our Facebook page and website. Please join us in this opportunity to honor the elders in your life! If you have any questions about this event, please call 816-888-7930.